Orr, Reeves & Geier (eds): "HUTS AND HISTORY: The Historical Archaeology of Military Encampment During the American Civil War"
Civil War camps can take many forms, from a simple fire pit for an overnight stay to elaborately constructed cabins for the winter months. 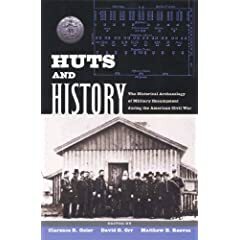 A collection of scholarly essays, Huts and History is a masterful introduction to both practical and technical issues of modern archaeology as applied to Civil War encampments. The art of laying out a military encampment (castrametation) following the regulations of the period is discussed in detail and compared with the survey evidence. The study also provides a frank and balanced discussion of the strained relationship between professional archaeologists and relic hunters. As with a previous UPF publication [see note * below], the authors find value in cooperation and here admit that amateurs are actually more successful in finding camp sites than are trained archaeologists. While some chapters go into some depth describing survey and material culture examination and survey methodologies, the degree of specialist technical detail is not overwhelming to the patient general reader. Their findings reveal a great deal about soldier society -- its tools, technology, rituals, diet, and social systems. Specific sites covered include the 14th New Jersey camp at Monocacy, Confederate cantonments supporting the 1861-62 Potomac blockade, Camp Nelson (KY), Confederate winter camps at Orange (VA), urban Confederate camps at Yorktown, and Grant's cabin complex at City Point. Huts and History employs an immensely satisfying array of illustrations as well. Photographs, drawings, sketches, tables, site maps, artifact distribution plots, and archival maps are placed throughout the text. My only quibble is with the lack of regional balance. No sites from the Trans-Mississippi were included for chapter length study, and Camp Nelson in Kentucky was the lone western theater representative. Huts and History is yet another insightful and abundantly visual archaeological compilation from the University Press of Florida. Its articles comprise a rich blend of scholarly interpretation and practical advice. 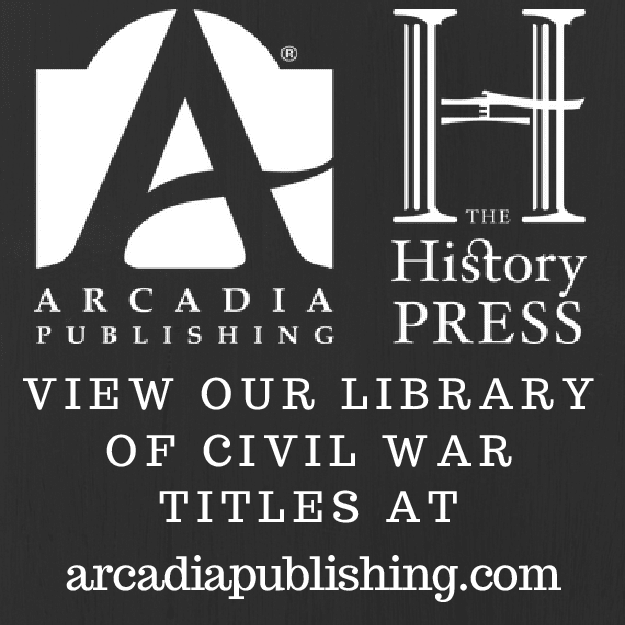 While there is much within for the general reader to ponder, certainly any professional or amateur interested in Civil War archaeology will greatly benefit from reading this volume. Highly recommended. * - This is the second archaeological study involving the work of Dr. Geier reviewed here. 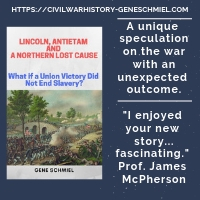 Follow the link below for my comments on the excellent Archaeological Perspectives on the American Civil War, also published by UP of Florida. 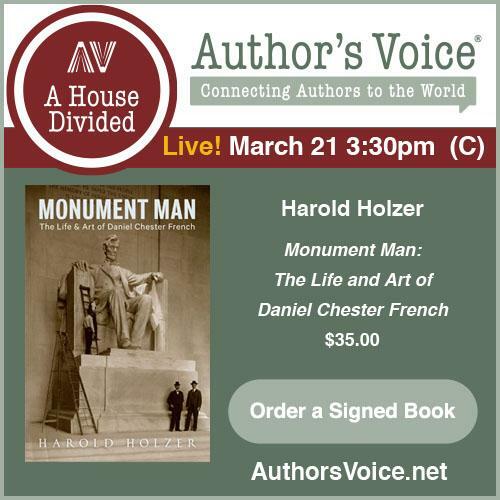 "Three Days in the Shenandoah"
McClintock: "Lincoln and the Decision for War"
Dupree: "Planting the Union Flag in Texas"